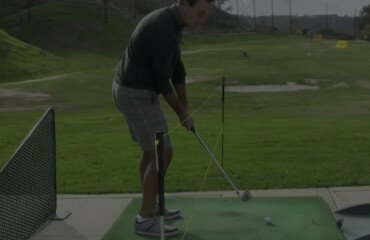 Golf lessons and San Diego go together just like perfect weather and good golf courses go together. The fastest way to improve your golf game is to take a lesson so that you can know what is correct to do and/or identify a flaw and correct it. From beginner to touring professional, golf lessons are the keys that unlock the door to rapid progress and real satisfaction with your game. 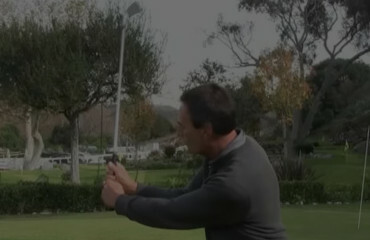 The San Diego golf lessons video instruction you will see in this section is designed to help you select an area of interest in which you would like to improve. We have selected only a portion of the videos we have on hand for current viewing, but will continue to add more every month. In addition, we are shooting more videos all the time. Keep watching and you are sure to find insights that will be highly beneficial in your case. Finally, if there is a specific area that you feel needs to be covered, please make a request. 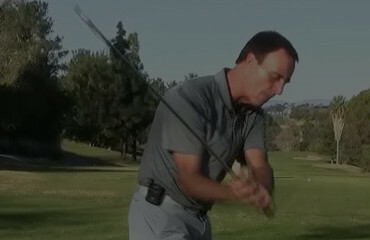 The grip is the single most important and arguably, the most difficult aspect of the game. If your grip is at least a 9.5 on a scale of 1 to 10, you can continue to improve for a lifetime. However, if your grip is fundamentally unsound, you will struggle mightily to improve at all. Find a process to get your grip on properly and become consistent. 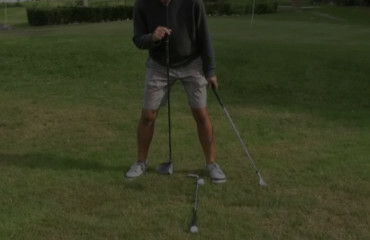 There is an old saying, “If you don’t aim at anything, you will hit it for sure!” Not only do you need correct alignment, both with your body and your club, but also the factors of posture and ball position. When your static fundamentals are correct, a good swing will produce a good shot. More importantly, if your static fundamentals are correct and something goes wrong with your swing, the type of bad shot you hit, when you understand the cause-and-effect relationships, will allow you to know what has gone wrong and make an immediate adjustment. 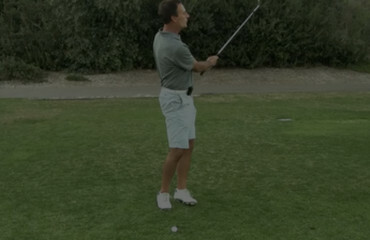 The backswing is the part of the swing that gives you the greatest amount of control. Once you are in position, it is easier to stay in position. When you get out of position, getting back into position at high-speed will either be impossible or cost you power and consistency. The downswing is happening at such a high rate of speed that it is folly to attempt to control things consciously. As a result, you must internalize the motions and the feels that will allow you to react athletically to what the backswing has created. Because your downswing is made up of a series of processes, it is easier to find a correct finish position that is to try to be perfect at impact when the club may be going over 100 mph. If your finish is not correct, some of your processes did not go to completion. As a result, you will be “late” at every point along the process. Once your swing is reliable and effective, you will make the same swing with every club. 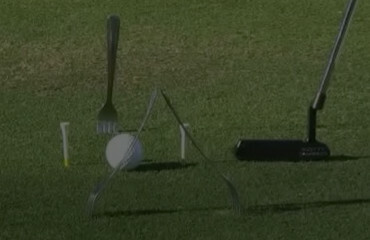 The ball will go different heights and different distances based upon the club you select. However, when you get close enough to the hole so that even your shortest club would go too far, you must learn to do something reliable to make the ball go shorter and react properly when it hits the green. 42% of all shots in golf are putts. 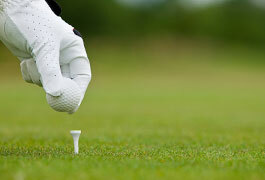 Because this is the club you use most often, excelling on the green is the most important key to lowering your score. To be truly proficient, there are three aspects you must understand and master: The mechanics of the setup and stroke, acceleration, and tempo. Once you understand a move or position that you would like to have in your swing, you are sending a message from your brain to your body parts to make it happen. If you are having trouble, it doesn’t mean you don’t understand or aren’t trying hard enough, it means your body doesn’t know what the new move feels like. Drills are a way to streamline the learning process. They effectively “bypass your brain,” and ingrain a feel. Technically, there are two kinds of “hazards” on the golf course. They are water hazards and bunkers. A hazard in general is something dangerous that should be avoided. Unfortunately, we cannot avoid bunkers and must learn how to play from them effectively. 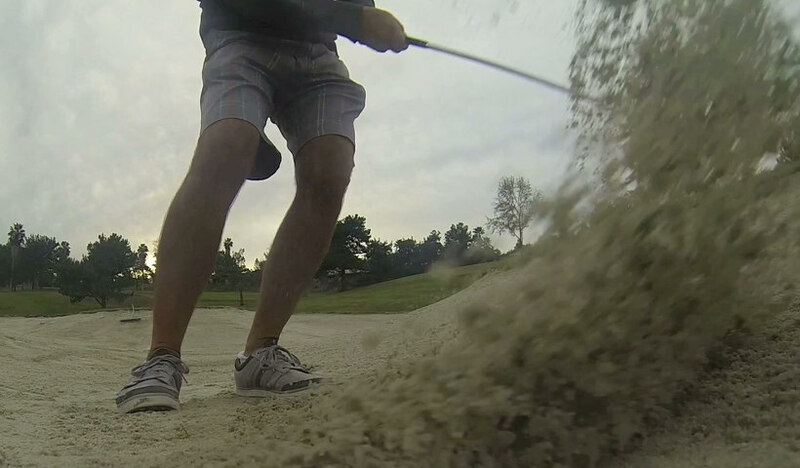 The proper techniques are used so infrequently that it is not surprising the sand tends to elicit a “fear and loathing” response in the average player. You will not always be standing on a perfectly flat piece of ground with the ball on a tee or perfectly mown grass when you play. Instead, you will encounter deep rough, uphill, downhill, and sidehill lies, shots that need to go higher or lower than normal, and even situations where curving the ball radically in one direction or the other is required, just to name a few. The ability to handle these variations is an absolute must.